We will also, continue to pray for you two, your children and your students. I do love the Word! I teach ‘Redemptive History’ twice a week so most days I am studying the Word. I also have time, in the morning for a devotional. This is what I do – Hopefully this is encouragement and not my trying to impress!!! You asked so I wanted to respond. I read with great interest your November newsletter. I am a strong proponent of studying God’s word and have been reading commentaries since I became “born again” almost 40 years ago. I was very fortunate in attending churches that believed in strong Bible teaching. I started out with Mastering the Old Testament series with Lloyd J. Ogilvie as the General editor. Each book of the Bible was exposited by someone that Ogilvie picked as being an excellent communicator. Many of the authors did not have extensive degrees, although some did, but they were picked because they could communicate clearly. In the words of Ogilvie in his Editor’s preface “the authors are scholar-preachers and teachers outstanding in their ability to make scriptures come alive for individuals and groups.” And in fact most did an admirable job. The series morphed into a series called The Communicator’s Commentary series that I acquired and studied for several decades. For the last 10 years I have been studying James Montgomery Boice’s commentaries. And have found them to be outstanding. Along with that I go to a Precept classes with my wife. I don’t do the course work, but I do attend all the classes I can because the instructor is a college level teacher who is fascinating, She has been with Kay Arthur on foreign teaching missions and has worked with precept ministries in the past helping prepare for release of new studies. I started out as a new believer to understand what all the hype was about. Shelley had a thunder bolt experience that left me in the dust wondering what was happening after ten years of marriage. But Father Petersen at St Johns opened my eyes and the early morning study of God’s Word has been an almost constant for the last 40 years. I urge you to encourage your “disciples” to not only read the bible but to study it with good Bible believing commentators. I used the One Year Bible as an exercise in reading the Bible once a year for about 4 consecutive years but I found that in the end I was just reading words without knowing the meaning. I needed to know what it meant, hence the commentaries. Right now I’m just finishing my first ever time reading the entire bible in less than one year. It feels like I’m rounding the corner on the last mile, and I’m so stoked. I’ve been using a bible plan that puts me in a different section of the Bible each day of the week and it’s been so neat to see new connections all through scriptures. Please pray that I will take my bible study more seriously. I never prepare at all, and I know I’m missing out on so much. It’s just I don’t know where that space in my schedule is to work on it each week. Pray I find it. Thanks! I’m praying for you too. Reading the Bible every day and daily praying his been a part of my routine for years. It has been good to imagine being alone and listening to God. Just a quick note to let you know that I love the Bible App. I think it is available on almost any platform. The thing that really got me is the Reading Plans. I took part in a 21 day challenge back in 2012 (they usually hold them in February) , and I have been consistently reading the Bible daily since then. While I know that completing daily reading, checking boxes, getting badges, completion streaks, etc. might be performance oriented, I think it is okay to acknowledge what drives and motivates us. When it results in helping to form a daily Bible reading habit, I think the ends justify the means, to some degree. Of course, there have been times where I have just been going through the motions, but even in those times, I can’t help but think that there is some degree of benefit. Not what I am striving for, of course, but at least my baseline has moved up from inconsistency and guilt! Anyway, I thought I would share, as I have been able to engage a number of other people in this, with what I believe are fruitful results. My daughter now engages in daily Bible reading on her own, my 11 year old nephew has gotten involved, and we have a large portion of our church that are friends in the app and comment and share thoughts on their plans and other passages they are reading. I could see this as a great vehicle to connect people in your college community that would be encouraged to see others making a similar effort. To the extent that you bought in and were posting comments, it would provide an example of how to read and study different passages. Our pastor does that, and I find it encouraging. I’m working through key passages in the local dialect in Arabic. It’s not just a language learning task–I often find that God speaks to me really clearly when I have to go really slowly and concentrate hard and pay close attention to his Word. But it is hard work, and I am really good at finding other “more urgent” (or less taxing) tasks to do. Actually I pray daily that I would hunger and thirst for God and have been actively involved in Precepts Bible Study. Usually when I am on break from bible study I take a complete break but this summer I decided to stay in the Word so I read through the book of Acts. On Christmas break I will do another study on Romans. We are studying Acts in precepts right now and as I get to see the Holy Spirit actively working through the apostles and new believers I realize I have that same Holy Spirit and I need to be spreading the gospel as well. It is so important to know His Word. I am going to continue to pray that God continues to draw many to Himself through your ministry AND that they will hunger and thirst for HIM by totally immersing themselves in His Word!! I’m usually good about reading the Bible when I wake up early to go to work. The house is quiet because I’m the only one awake, so there are many fewer distractions. I am not as good at this on days off because there are five other people in the house with their own needs and agendas. I need to be more faithful to incorporate them into the reading of the Bible so we can do it more consistently as a family when I am home on the weekends. They do it together during the week, but the altered schedule of the weekend has been challenging for us. This makes me sad because I want our students to LOVE God’s word.That’s something I think about often: how do I cultivate a love for God’s word in the students I work with? 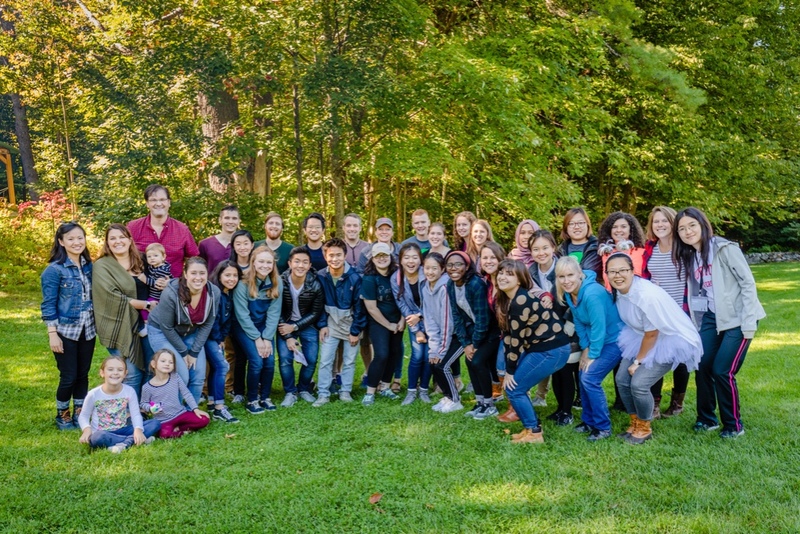 Here’s our family and a group of students Malisa and I work with at our Fall Retreat. Lucy from Northeastern started coming to Malisa’s athlete bible study last year. She was a new believer, but eager to grow and learn about Jesus. Every Summer, Malisa loves to give the girls she works with a book to read that would encourage them or spur them on. 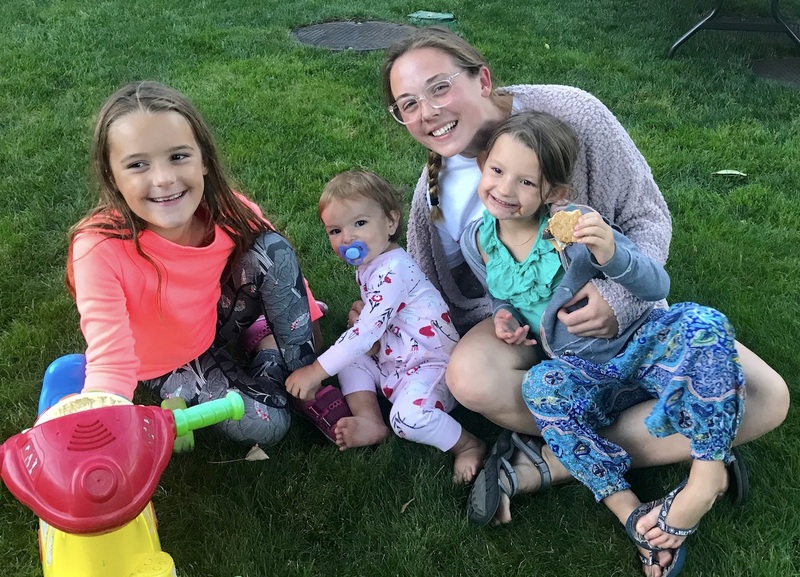 This summer, she gave them Women of the Word by Jen Wilkin. The book teaches the basics of how to study the Bible (and despite the title is something men can learn from too!). So over the summer Lucy taught herself to read the bible. And now she’s flourishing. She can’t get enough of studying His Word. We love that Lucy loves to play with our girls. How about you? How did you first come to understand God’s word? How has your reading of the bible changed? Over the years, Malisa and I have grown a huge love for God’s word. This looks different at different times in our lives. On a summer mission trip to Berlin as a student, I had tons of time and so I wrote my own (very poor) commentary on Hebrews. When Malisa and I were dating, she had the space to have long quiet times with her bible and her journal in the living room of her home in Seattle. Now as parents of 3 little kids, it looks different. Now, I grab bits of the Bible wherever I can. I love reading it to my children (often with the Jesus Storybook Bible). I get to study Ephesians during our summers in the Middle East. But much of my connection with God’s word comes in bits – in Podcast form, in apps on my phone, by reading devotional books on my Kindle, by listening to sermons, by reading to prepare for time with students. 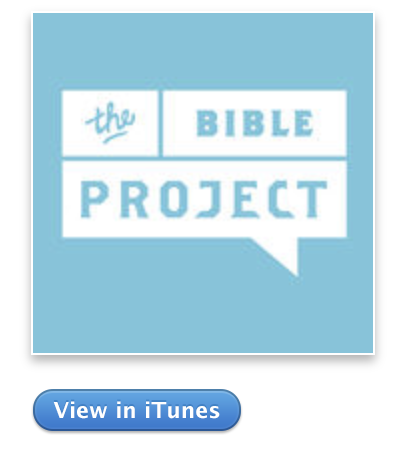 I’ve recently been enjoying both the podcast and videos of The Bible Project. Jacqui, one of our students, turned me onto the videos and my friend Dan turned me on to the podcast. Nick wants to switch up his bedtime routine and remove youtube and add some bible reading. When’s bedtime? The earliest is at 12:30. What about you? What would be a good next step at getting into God’s word? Would you take a moment and reply to this e-mail with your next step? Would you pray that all the students Malisa and I work with would grow a lifelong love of God’s word? Would you pray that for us? Can we pray that for you?